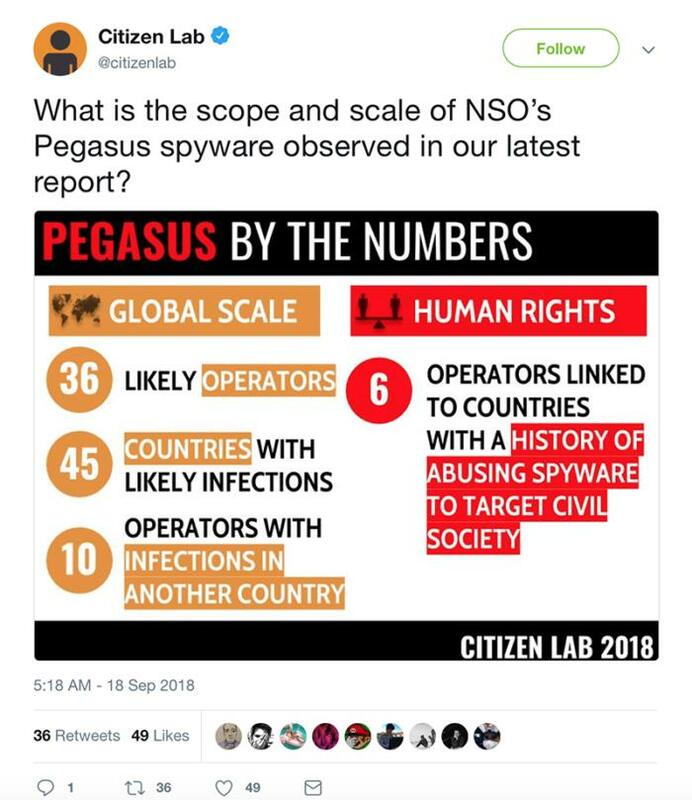 A sophisticated mobile spyware named Pegasus — made and sold by the Israeli company NSO Group — has been found not only on Androids and iPhones in countries with questionable human rights protections, but also in the U.S. Pegasus mobile spyware previous operation launched against UAE activist Ahmed Mansoor in Aug 2016 which contains a Zero-day exploit for the Apple iPhone along with Spyware that targets his iPhone 6 to spying his Phone activities. The list of countries targeted by Pegasus includes Algeria, Bahrain, the Netherlands, Oman, Pakistan, Palestine, Poland, Qatar, Rwanda, Saudi Arabia, Singapore, South Africa, Switzerland, Tajikistan, Bangladesh, Brazil, Canada, Cote d’Ivoire, Egypt, France, Greece, India, Iraq, Israel, Jordan, Kazakhstan, Kenya, Kuwait, Kyrgyzstan, Latvia, Lebanon, Libya, Mexico, Morocco, Thailand, Togo, Tunisia, Turkey, the UAE, Uganda, the United Kingdom, the United States, Uzbekistan, Yemen, and Zambia. According CSO blog post, the mobile operator has to trick a person into clicking a link that then delivers a chain of zero-day exploits and secretly installs Pegasus on the phone. After the malware installs on the target’s iPhone or Android phone without the user’s knowledge, it is then capable of spying via the phone’s camera and microphone. It can also steal text messages, passwords, photos, contact list, calendar events, and much more. “NSO does not operate in many of the countries listed. The product is only licensed to operate in countries approved under our Business Ethics Framework and the product will not operate outside of approved countries”.